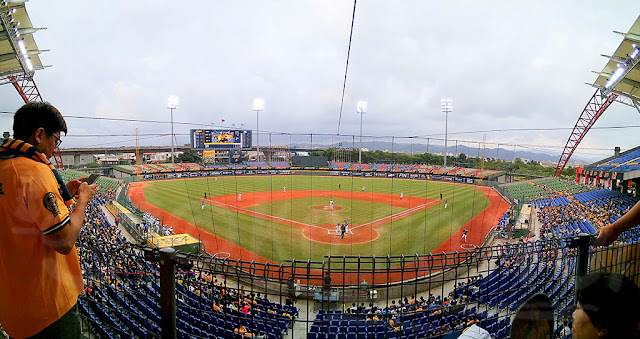 Being an avid baseball fan too, I headed to Taiwan, a popular tourist destination for many Singaporeans, to catch my favourite baseball team - Chinatrust Brothers (CT Bros, 中信兄弟) in action for the past six years. It was something I never expected in my recent trip when I was offered an opportunity to join my Taiwanese friends in a hospitality event hosted by CT Bros at one of their home games in Taichung weeks ago. 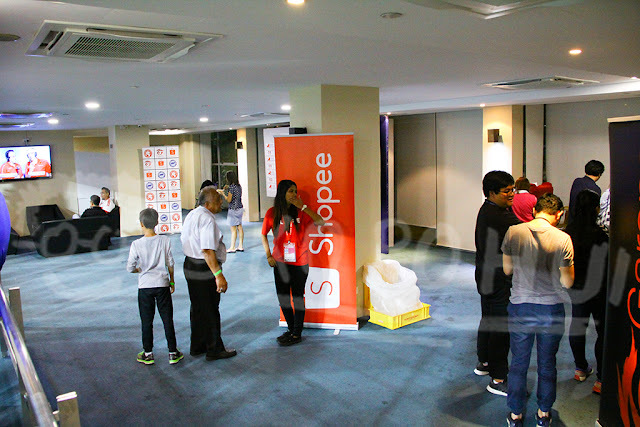 From what I gathered, the hospitality event is exclusively for fans (and their guests) who are members of the team's official fan club. 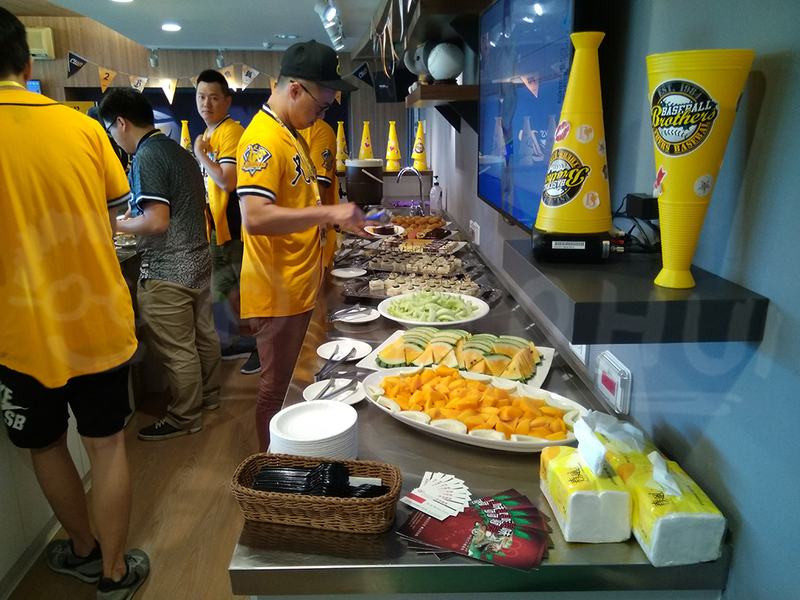 Beside quality buffet were served to those who were present at the event, the organizers also arranged interactive sessions for the fans with one player from the roster and two members from the team's official cheerleading group before the game. 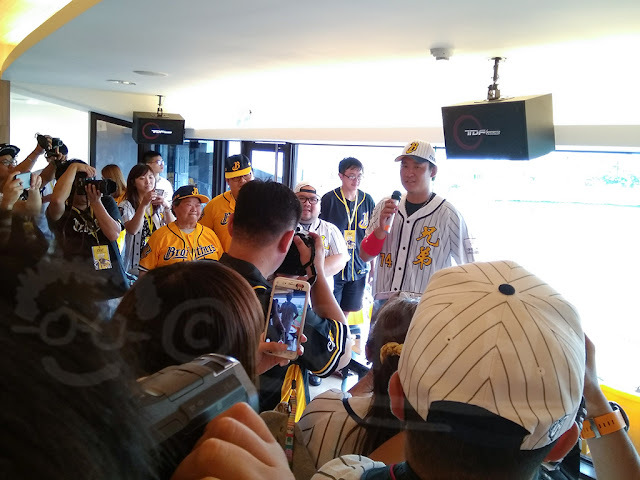 The event took place in one of the corporate boxes located at the top-tier of Taichung Intercontinental Baseball Stadium (臺中市洲際棒球場), the primary home ground of the CT Bros, at the outskirts of the city of Taichung. The 20,000-capacity stadium is also the de-facto home ground of the Chinese Taipei baseball team with facilities such as a baseball museum, merchandise shops and an event hall within its premises that emulated the Japanese model of such operation. The concept of hospitality reception is nothing new in our own S.League too, although it is largely restricted to those "VIP" guests at stadiums having those corporate boxes like Bishan, Jurong West, Jalan Besar Stadium (JBS), etc. on match days and whereas corporate hospitality at games is a common revenue generating tool in established markets like in the English leagues. "(Our club's) sponsors, committee members and special guests are usually those who we invited to our VIP Lounge (reception)." revealed Matthew Tay, general manager of Hougang United, on who are those on the club's guest list at games hosted by his club at the JBS. On the idea of the Cheetahs having a hospitality event similar to that of CT Bros', Tay believes it will be a good platform for both club and supporters to come together. "I am sure supporters will endorse such initiative by the club," said Tay in his reply for comment on this concept. "There is always possibility for clubs to bring themselves closer to their supporters through event like this." "It is, after all, a win-win situation for both the club and their supporters where they can mingle with each other after the game to build stronger bond over a dinner." "Ideally, each club should have a space big enough to hold such an enclosed event for their supporters, sponsors, business partners, board members at their home ground." he added. When asked if he would be keen to attend such event if there is one, Hougang supporter Ernest Lim is open to this idea. 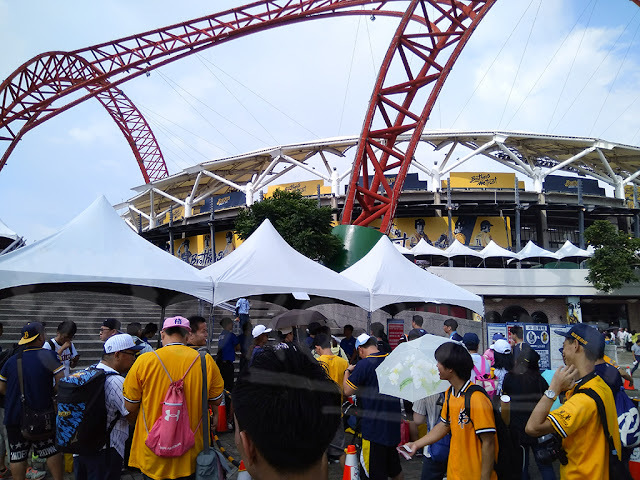 Said Lim:"I would be interested if there is one to be organized by Hougang United for their supporters, even though I felt such hospitality program should also target those in the corporate sectors like hosting a company dinner while watching S.League games at JBS. 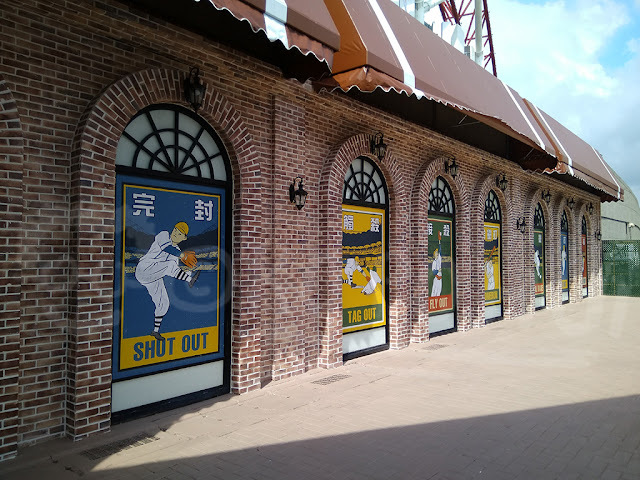 "Having said that, I believe there's a market for having this kind of hospitality event for the fans but I do hope the cost of attending one should be affordable to working adults and school students as well." 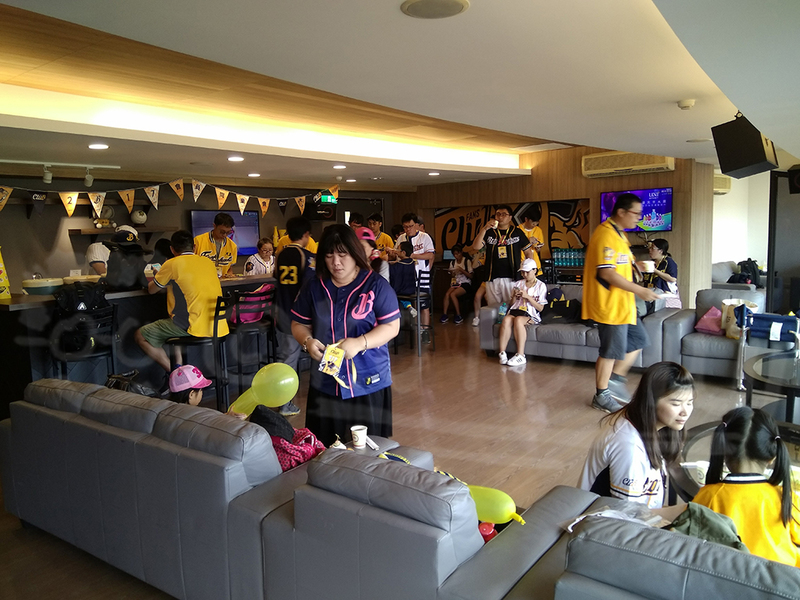 To sum things up, this type of fan-oriented hospitality event shall be seen as an ideal platform where fans, players, coaches can come together to interact with each other in a let-your-hair-down ambience. On the another hand while this hospitality event concept is a fan-centered one but it shall also be an avenue to explore as a revenue generating tool for clubs by providing a premium environment for fans to watch a football match in a comfortable setting. You can have all these fanciful so call fans hospitality experience. My question is how much the fan is willing to pay for? $50? $100? $1000 for ultimate VVIP treatment? I am afraid many will tell you that they prefer it to be foc!